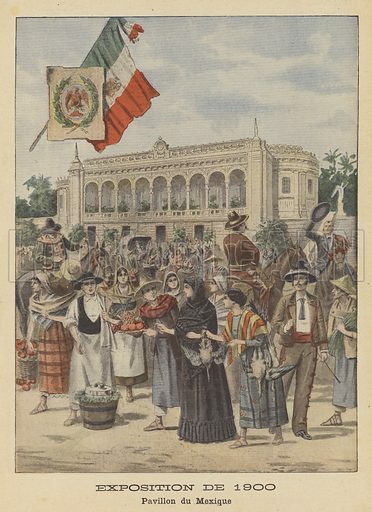 The Mexican Pavilion at the Exposition Universelle of 1900 in Paris. Exposition de 1900. Pavillon du Mexique. Illustration for Le Petit Journal, 2 September 1900. Available worldwide for immediate download up to 6,778 x 9,337 pixels.